This hearty multigrain loaf bakes up light and chewy, not crumbly, with a nibby crunch—perfect for your morning toast or favorite sandwich. While there's no denying my love for the simplicity of a 100% whole wheat sandwich loaf, I also see it as a canvas for a seedy, multigrain loaf. For many folks, myself included, the nibby pop and nutty flavor of added grains and seeds can make our favorite sandwiches and morning toast all the more enjoyable. To that end, this recipe follows the same process and technique as my whole wheat sandwich loaf: an autolyse to hydrate the flour, a spin in a food processor for intensive gluten development, and a late-stage addition of water and oil to boost hydration without interfering with gluten development. This recipe differs only with an extra step to prepare the seeds and grains and another to incorporate them at the end. I'll break down each step here, but I highly recommend reading through the original article and making that 100% whole wheat loaf at least once before jumping in with this multigrain variation. It's an unusual recipe, and mastering the basic dough will be essential for success before complicating the process with mix-ins. With the wrong flour and equipment, the bread is doomed from the start. But even when those variables are locked down, it's still a recipe that requires skill at a number of stages: gauging proper gluten development, resisting the urge to add more flour to the sticky dough, learning to shape a well-formed loaf, judging the proofing process twice, and then baking. Done right, it's a technique that will produce a chewy, high-rising, 100% whole wheat loaf that bakes up fluffy and light. But with the wrong flour, it will be a soupy mess; with the wrong equipment, it will be heavy and dense, too unstructured to rise; with a poor shape, the loaf will have an uneven, lumpy top; when overproofed, it will be spongey and coarse; and when underproofed, it will be heavy and dense. Adding whole grains and seeds will only introduce more variables to that process. I don't mean to suggest this is an outrageously difficult recipe, only that it requires both attention to detail and familiarity with the behavior of the basic loaf. With those under your belt, you can bake up a multigrain loaf that's chewy, not crumbly, for a perfectly sliceable sandwich loaf loaded with the hearty texture of seeds and grains. My favorite blend is a mix of rolled oats, flaxseed, chia, and wheat germ, with hemp hearts sometimes standing in for the flax (I live in Kentucky; we're a little obsessed with hemp down here). Rolled oats add their signature flavor and chewiness to the loaf; flaxseed underscores the earthy nuttiness of whole wheat; chia has a toasty yet semi-fruity vibe, almost like poppyseed; and wheat germ doubles down on the graham-like qualities of whole wheat bread. Together this mix layers in some earthy flavors and textures without overtaking the bread. It's the same tasty-yet-subtle blend I use to bulk up my buttermilk granola, as well. In this recipe, the first step is to soak the grains/seeds in a little water, so they won't interfere with the hydration of the dough by absorbing its moisture later on. In turn, this allows for proper gluten development and moisture retention in the loaf, keeping it well structured and moist. While the grains are soaking, the whole wheat flour is combined with water and allowed to autolyse for two-and-a-half hours. This ensures it's well hydrated, to kick-start gluten formation and soften the coarse bran and germ. When the time is up, the hydrated dough is combined with brown sugar, salt, and yeast in the bowl of a food processor fitted with the regular metal blade (not the dough blade!). It's processed until silky smooth and strong enough that a small piece can be pulled into a thin, translucent sheet. 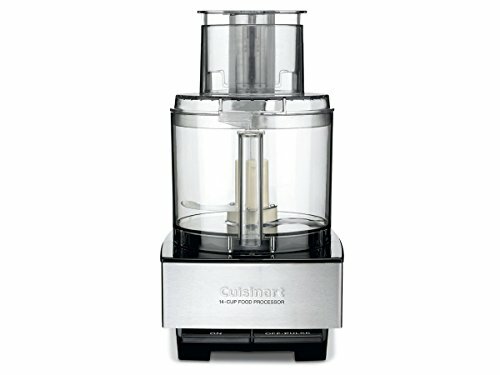 This step utterly depends on the power of the food processor itself—we're talkin' real food processors, here, not mini-choppers. The dough may also be a problem for rickety old machines or those with cheap construction. Unfortunately, not all food processors are created equal, but we've reviewed the best food processors on the market, including some inexpensive options that will work well here. I've tested this recipe across several 14-cup models, the CuisinArt, Breville Sous Chef, and Magimix, all with good results. Once the dough can be stretched into a translucent sheet, add the remaining water and oil while the machine is running. When roughly incorporated, add the soaked grain/seed mixture all at once; then pulse to combine. The dough will be thick and gnarly at this stage but still very wet. Transfer the dough to a well-greased bowl and proof until puffy, light, and roughly doubled in bulk. This will take about two hours at cool room temperature, at or slightly below 70°F (21°C). Bear in mind the dough will move faster in warmer environments and slower in cooler ones; proofing should always be judged by sight and touch, not a hard-and-fast timetable. After proofing, shape the dough into a tight log and transfer to a standard 1-pound loaf pan; this tapered style will measure 9- by 5-inches at the top, and 8- by 4-inches at the bottom. Loosely cover the dough with plastic and proof until it feels puffy and light, but it's structured enough to slowly spring back from a gentle poke. Bake until the loaf is well risen and golden brown, giving up a hollow sound when thumped. At 350°F, this should take about 45 minutes or until the bread reaches an internal temperature just over 200°F. Immediately de-pan the loaf and let it cool completely on a wire rack. While warm, it will be fragile and easily compressed, with a gummy texture that seems almost raw. Give it time, however, and it will firm up into a light, well-structured loaf. While having a sharp, serrated knife is important for slicing any loaf of bread, this is especially true of a seedy, multigrain bread. If the teeth are dull, they'll snag on the seedy bits, tearing the loaf apart rather than cleanly slicing through. My favorite is a $20 Tojiro slicer, but check out Daniel's review of the best serrated knives for more options. Armed with a flexible serrated knife that's as thin as it is sharp, the grainy loaf is easily cut into thin sandwich slices. It's a hearty, satisfying bread that's perfect for everything, whether you're making toast or a classic BLT, and one I find well worth the effort to master.